Compiled by Leslie Pate Mackinnon, L.C.S.W. 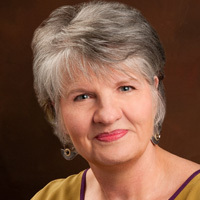 11) The Family of Adoption, Joyce Maguire Pavao, PhD. 9) White Hands, Black Baby; The View From The Crib, Jaiya Johns, PhD. 1) Adoptees Come of Age, Nydam, R.
7) Of Unknown Origin, Holtz, D.
12) Searching For A Past, Schooler, J. 2) Adoption and the Schools: Resources for Parents and Teachers, Wood, L.
4) Adoption Lifebook: A Bridge to Your Child’s Beginnings, Probst, C.
5) Before I Met You; A Therapeutic Pre-Adoption Narrative Designed for Children Adopted from China, Doris Landry, M.S. 9) Secret Thought of an Adoptive Mother, Wolff, J. 11) The Handbook for Single Adoptive Parents, Marindin, H.
13) The Post Adoption Blues, Overcoming the Unforseen Challenges of Adoption, Thompson, & Foli. 2) Adoption Stories for Young Children, Hicks, R.B. 3) Beginnings: How Families Come To Be, Kroll, V.
4) Families Are Forever, Shemin, Shemin, & Capone. 5) How It Feels To Be Adopted, Krementz, J. 6) Jin Woo, Bunting, E.
7) Mommy, Did I Grow In Your Tummy? Where Babies Come From, Gordon, E.R. 11) Twice Upon A Time: Born and Adopted, Patterson, E.
12) What Is Adoption: Helping Non-Adopted Children Understand Adoption, Stergianis & McDowall. 3) Adoption Triangle: Sealed Or Open Records: How They Affect Adoptees, Birthparents & Adoptive Parents, Arthur Sorosky, M.D., Rueben Pannor, M.S.W., and Annette Baran, M.S.W. 4) The Secret Life of the Unborn Child, Thomas Verny, M.D.